And truthfully, most dogs won't work simply due to an innate desire to please. Sure, your dog lights up when you smile or look at them, but is he going to perform a list of behaviors for a smile? Probably not. Dogs have biological needs: food, water, and shelter to name a few. The easiest and most practical way to "get in your dog's head" is to figure out what he/she wants, and then use it! I often hear that "treat training" or "click training" will create a dog who will not only blow you off if you forget your hot dogs, but he'll get fat, spoiled, and lose his spirit. I am here to tell you that, thankfully, that is not true! A properly clicker trained dog works happily, and he doesn't just get food--he gets toys and environmental rewards, as well! With time, a clicker trained dog will perform reliably without food present and without the use of any special collars or equipment. I do not believe in dominating your dog. I believe in creating a working partnership with your dog, or if you are like me, a happy medium between working partnership and best friends. The training I do with my own dogs is not for competition or to show off. I train because it allows me to give my dog more freedom and because we all enjoy it! While I started using clickers and positive methodology very early on--as a teenager!--I didn't always use positive reinforcement training, particularly in my early days of working with horses. Making the switch was a huge lightbulb moment for me. Using positive reinforcement is FUN. Imagine calling your dog to you and then playing a rousing game of tug for a few moments and then being able to go on and work on something like "spin" or targeting. If your dog is happy, you will be happy, and vice versa. If you are feeling down about training, re-think the way you are going about it. Any animal can be trained using these methods. You don't have to be a dog expert, and you don't need to be a tough guy, either. These principles work not only with dogs, they can be applied to work with nearly any animal. Any marine animal you have seen performing was trained using positive reinforcement. After all, do you think you could intimidate a whale into submission? 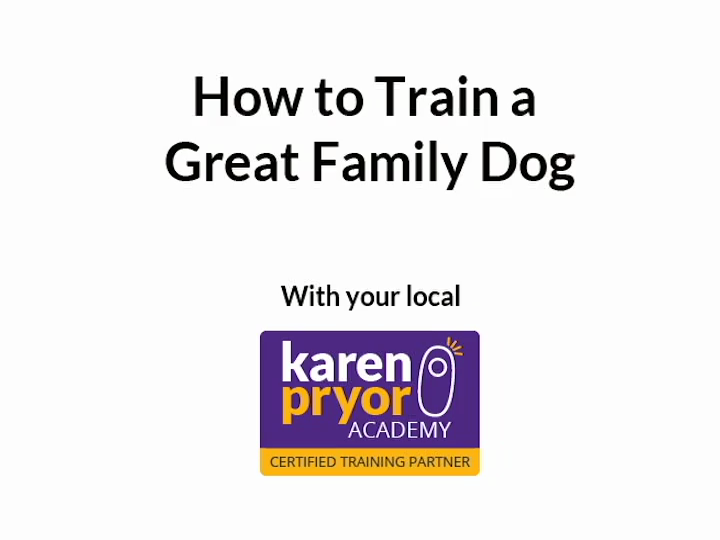 Old dogs, young dogs, giant dogs, toy dogs, and even puppies that are only a few weeks old can be trained. While it is best to start off early training your dog, an old dog can and should learn new tricks. It's never too late to start working with your dog. Are you currently training using punishment? If you feel like things are going okay with your dog, that is fine with me--it's your dog, after all! That said, if you're curious, reach out! I'd be happy to show you another way or help you out with any particular issues that come up with your dog.